Crisis Action is an independent not-for-profit organisation that is funded predominantly through voluntary contributions. We receive financial support from a range of foundations, governments and private individuals, many of which provide unrestricted multi-year funding. 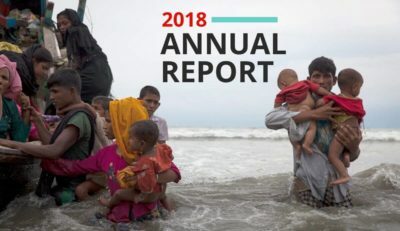 In addition, all of Crisis Action’s core partners make an annual financial contribution, with the exception of those located in the Global South. To ensure the organisation’s financial viability and safeguard its integrity and independence, we are continuously expanding and diversifying our donor base. Crisis Action applies strict accountability and transparency standards to its funding relationships. If you would like to support Crisis Action’s work to protect civilians trapped in conflict, please donate online or contact kelly.petillo@crisisaction.org.